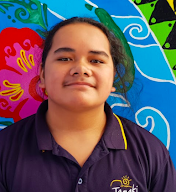 I am a Year 8 student at Tamaki Primary School in Auckland, NZ. I am in the Kia Manawanui syndicate and my teachers are Ms. Aireen & Ms. Komor. I am reflecting on what we done last week and the things that we done as a family or Syndicate.